They’ve raised children both on and off the road, having club bouncers watch their babies while onstage. These women have stayed in comedy condos where you don’t want to use a blacklight on anything. They’ve been told women aren’t funny and asked to trade sexual favors for work. Trust us, they have A LOT to say and they say it hysterically. 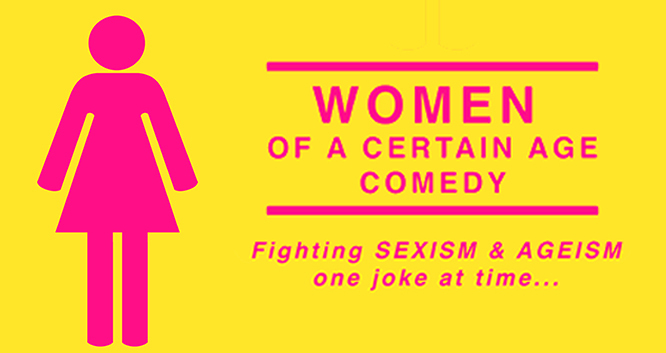 Known as the comic’s comic, Women of a Certain Age Comedy creator Carole Montgomery has already brought to the stage some of the most respected names in standup including Janeane Garofalo, Wendy Liebman, Tammy Pescatelli, Julia Scotti, Cathy Ladman, Kira Soltanovich, Felicia Michaels, Leighann Lord, Vanessa Hollingshead and Nikki Carr.